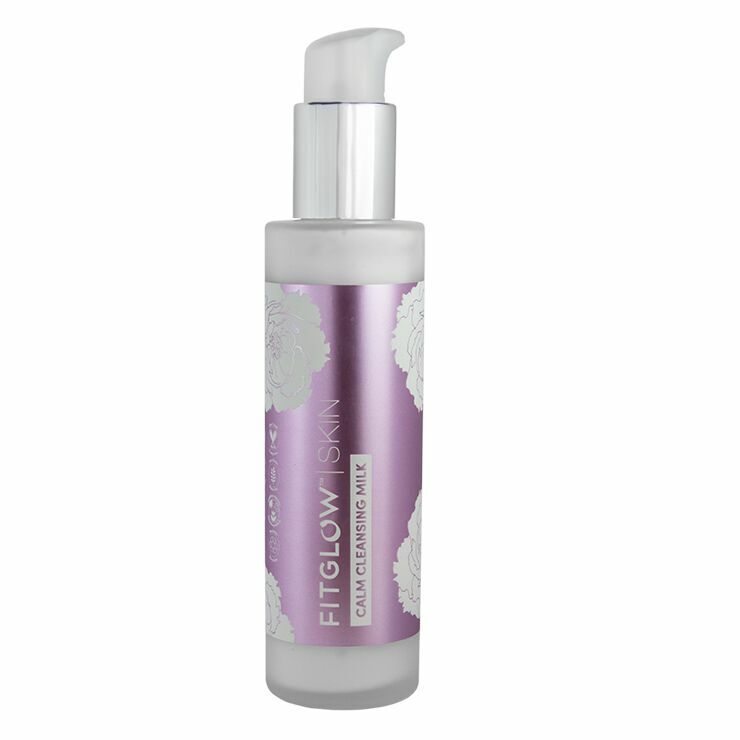 Calm Cleansing Milk by Fitglow Beauty gently cleanses the skin of makeup and impurities without causing feelings of dryness or irritation to sensitive skin. Organic Cucumber and Aloe in this natural makeup remover and cleanser make skin feel calmed and lightly moisturized, while Rose reduces signs of inflammation and diminishes the appearance of redness. Gently massage onto dry or damp skin to remove dirt, debris, and makeup. Rinse with warm water and follow with serum or moisturizer.